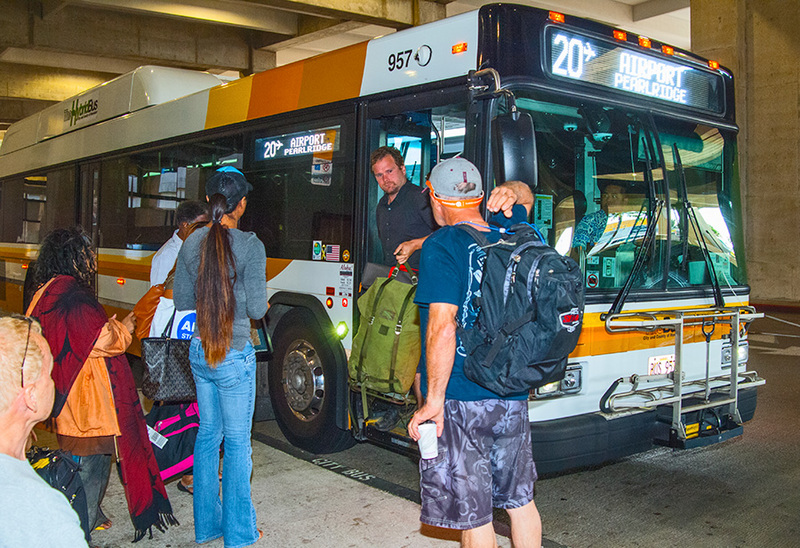 The City & County of Honolulu provides an island-wide bus transportation system that serves Daniel K. Inouye International Airport. For more information click on the link below. Eastbound route goes from the airport, then to Kalihi Kai (via Nimitz Highway), downtown Honolulu, the Honolulu Civic Center, Ala Moana Shopping Center and ends in Waikiki. Westbound route goes from the airport and ends at Hickam Air Force Base. Eastbound route goes from the airport, then to Kalihi (via Nimitz Highway), downtown Honolulu, the Honolulu Civic Center, Ala Moana Shopping Center and ends in Waikiki. Westbound route goes from the airport to the Arizona Memorial, Aloha Stadium, Aiea and ends at Pearlridge Shopping Center. East bound route begins at Tripler Medical Center and goes to the Kalihi Transit Center. 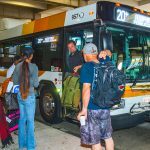 The Westbound route begins at the Airport and goes to the Kalihi Transit Center. 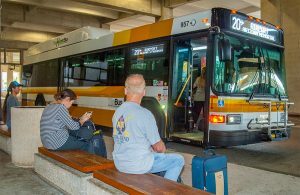 City Buses arrive and depart from the airport approximately every 30 minutes depending on route number. Bus Stops are located on the second level roadway along the center median. Look for the signs. For the most up-to-date information, please visit TheBus’ Fares & Passes webpage.